A sad event brought together residents of a veteran’s scheme and a young man’s family. When Aaron arrived at a supported scheme for veterans, he had left his family due to a relationship breakdown and problems with his mental health. During his time there, he worked hard on his issues and made a lot of friends. Church Homeless Trust funded train fare so he could visit his young son. But, due to unfortunate circumstances, late last year he passed away. To show their respect, some of the veterans at the hostel decided to build a memorial garden. They designed a space that would reflect Aaron’s personality. His mum and dad were told what was happening and were excited to see it. The residents decided to hold a memorial day and open the finished garden on his birthday, when his parents planned to scatter his ashes. 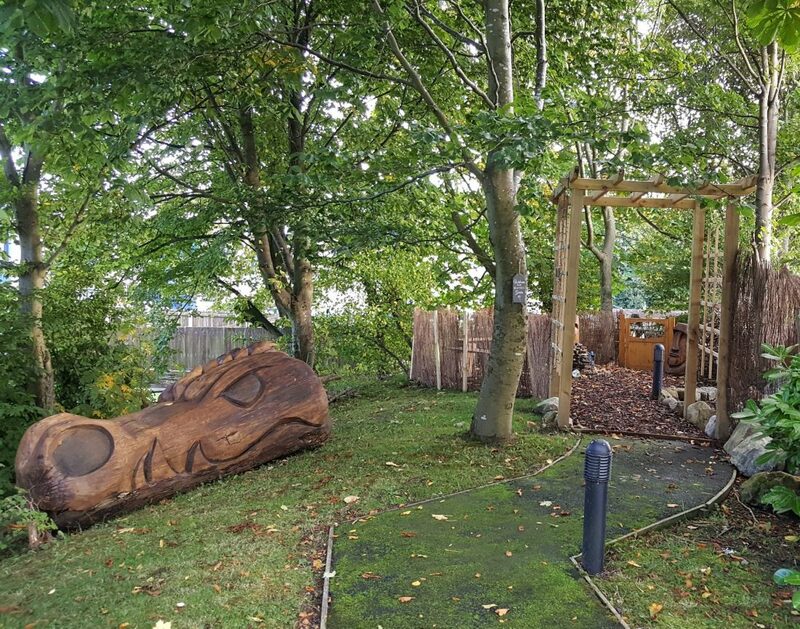 The veterans created personalised sculptures of Ernie’s interests, built and painted the fence, and designed and built the water feature themselves. They achieved a huge amount in a very short space of time. The final touch was some solar fairy lights on the trellis archway to welcome you as you enter the garden, lighting up the space throughout the day and night. The day arrived, and residents prepared food in the bakery while waiting for Ernie’s family and friends. They had balloons ready for his son, nieces, and nephews to write messages on and release. The residents provided flowers for his mum and dad, who laid his ashes in the garden. The event was very emotional, and a truly great tribute to their friend. His parents visit the garden regularly, often with his son. They enjoy sitting in the area on their own to reflect, and chatting over a cuppa about memories of Ernie, the majority of which bring everyone to laughter. They told support workers that the scheme helped their son immensely during his short stay, and that he always spoke highly of staff and the friends he had made there.